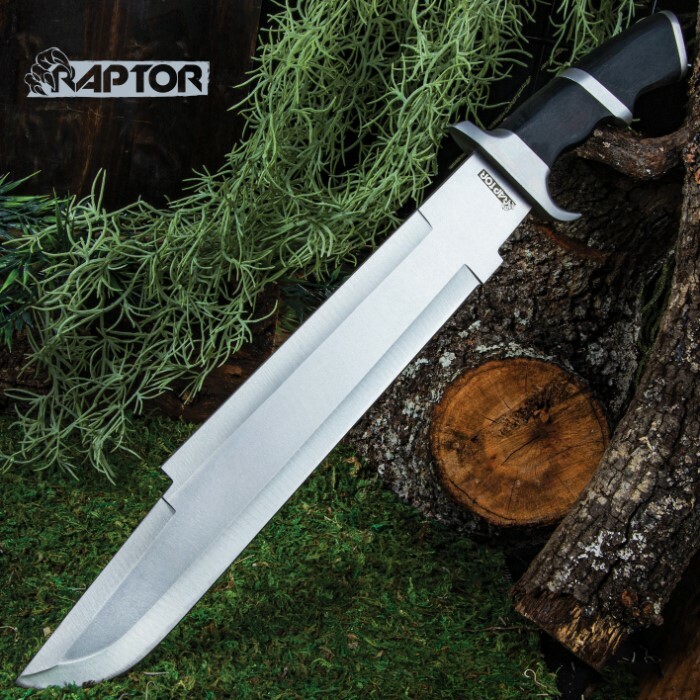 A gargantuan monster, our Raptor Machete will, hands-down, make chopped-liver out of anything you put in front of it! 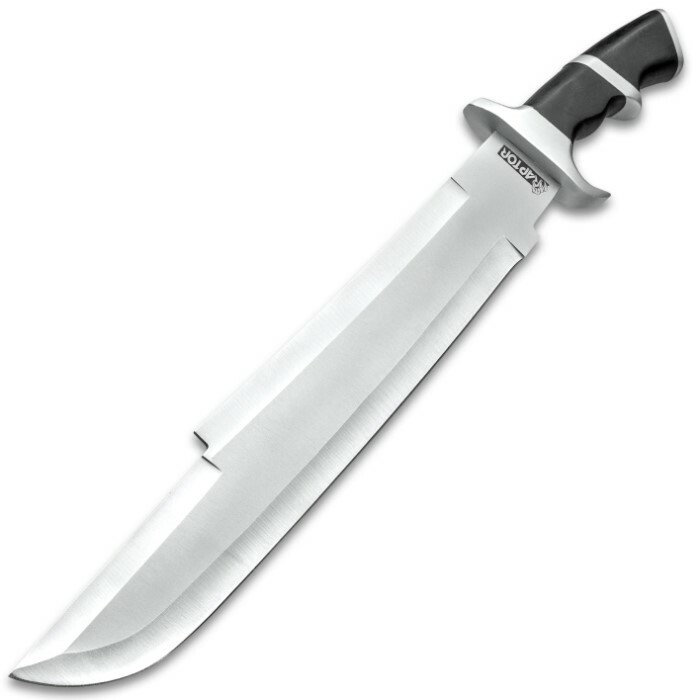 The beast has a razor-sharp, 14 3/4” stainless steel blade with a satin finish and the blade is a massive 2 1/2” wide. 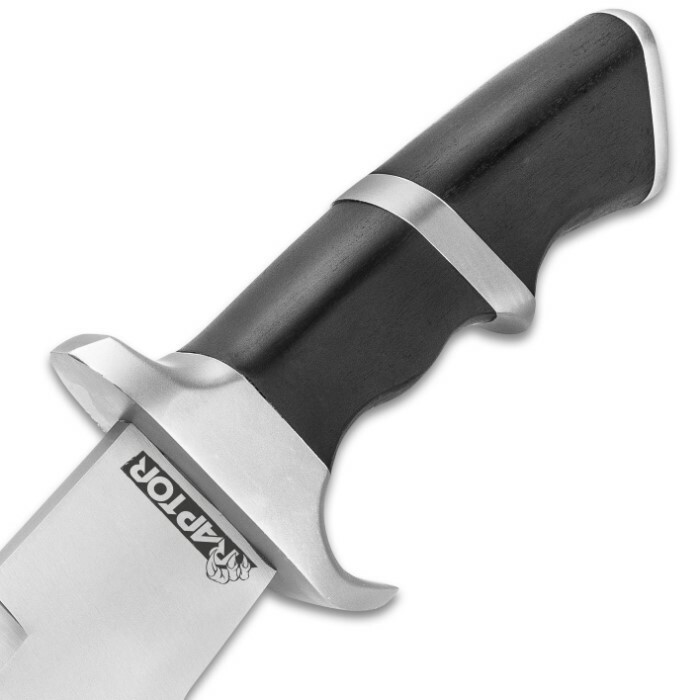 The hefty handle is constructed of black pakkawood with matte finished stainless steel bands to match the handguard and pommel. The 20 1/2” overall machete can be carried and stored in the included, tough nylon belt sheath with a snap closure. Take the Raptor Machete out with you when you want to actually conquer the wild! Very heavy thick blade, handle needs some work for comfort, nice edge, great for chopping limbs lol. Worst thing is China is stamped on blade. I missed out on the officially licensed machete from the movie "Predator" when you could still get them at a decent price, but I recently saw this in a BUDK catalog and couldn't resist. 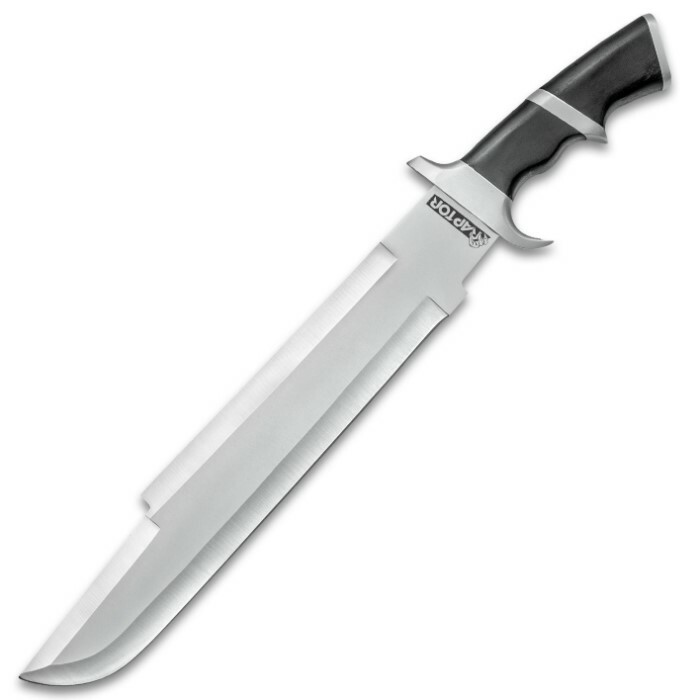 It is a really nice copy of the Predator machete and matches the original's specs almost perfectly, and at a great price, too. It is very heavy, and seems well made. I couldn't be happier with it!